Home Games Interesting info People Z Cool! 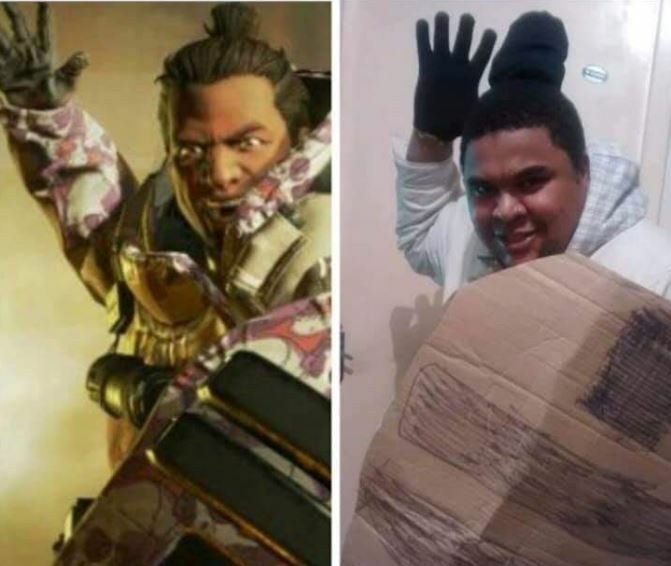 This Apex Legends Cosplayer Makes a Head Shaking! Cool! This Apex Legends Cosplayer Makes a Head Shaking! Do you like to play Apex Legends? What happens if the characters in this game is present in the real world, guys? 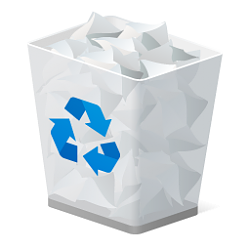 Of course, with a typical futuristic Apex style, it's quite difficult to apply to the real world. However, these cosplayers can handle it, guys! With a very similar appearance, they are able to appear as characters in the game. 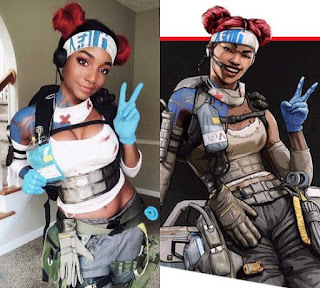 Well, here is Rildem to list the five most beautiful Apex Legends cosplayers that make you stunned! Come on, see more. Talking about cosplay, maybe you don't understand the true meaning. Cosplay is an abbreviation of costume and play. This culture originates from the west which spreads to Japan, when someone looks like a fictional or real character. Shortened to Cosplay. Well, people who are doing cosplay activities are called cosplayers. 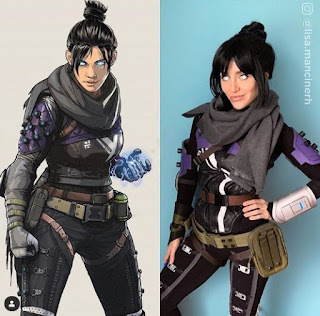 The following is small cosplayers who can look very similar to the characters on Apex Legends. 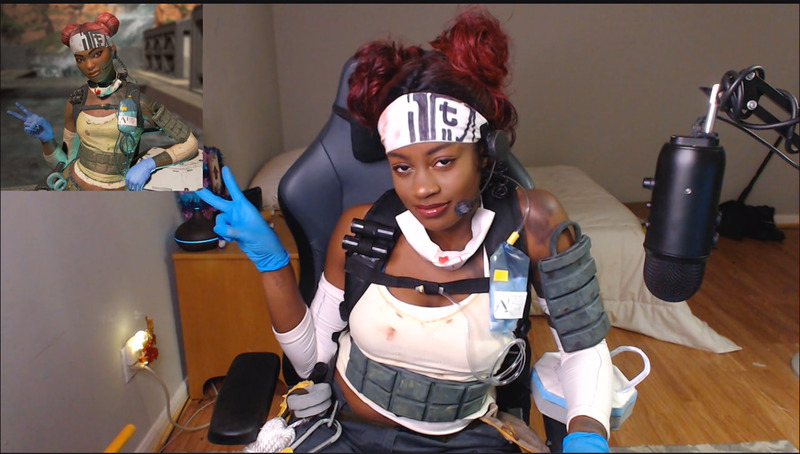 The first Apex Legends cosplayer that caught Rildem's attention was Kay Bear. This cosplayer is very well known in the world of cosplay games. The charming paras attract attention, just look at how it looks as a Lifeline character on Apex Legends. Very similar isn't it? Ranging from clothing to additional accessories, all are complete like characters in the game. You can find his profile on Facebook with the name Kay Bear. Is he the real life figure of a Lifeline? For those of you who don't know Lifeline, he is a medical character who has the ability to heal friends in battle. Nice! Next is Olya Bony, a cosplayer and costume maker and makeup artist who appears as a Wraith character in the Apex Legends game. In his upload on Instagram, he posed like Wraith in an illustration. His style is very cool and resembles the original character. However, there are many accessories that are lacking in cosplay this time. Like accessories in some parts of his left hand. Wraith is a fighter in the Apex Legends game that has the ability to move quickly and lethal, like a ninja. Not only one cosplayer, Lisa Mancinerh also cosplayed as a Wraith character very well. In uploads on Instagram, he looked very similar to Wraith. Moreover, coupled with supporting accessories that are very complete and resemble the original. Well, if this one cosplayer is a little bit mean, because someone who was nicknamed Copy210 cosplayed as a Pathfinder character. 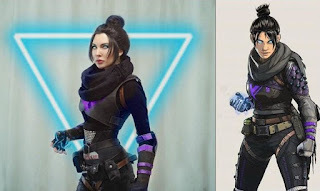 The cosplay she is doing is quite low budget but at a glance it looks similar to the characters in the game. Just look at his behavior that outsmarted the screen on the chest with a tablet. His hand was affixed with a spatula, maybe to look like an iron hand, guys. 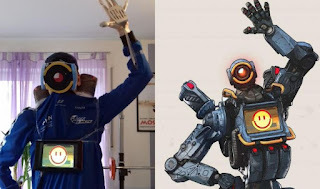 Pathfinder itself is a robot figure who can make ziplines so that teammates can easily reach other lands with a short trip. Not only that, Pathfinder can scan the next safe zone too! This figure is described as a jovial robot who can describe his emotions in the form of emojis on his body screen. Finally, a low budget cosplayer who was not named, followed the figure of Gibraltar. This cosplayer is very 'forceful' but quite creative. Capitalizing on makeshift clothes and cardboard, he competed like a strong figure in Gibraltar. Maybe these cosplayers aren't as good as the others on the list, but can make you laugh at them. In the account upload named 'Dunks' above, it states that the person is cosplaying with a budget of less than 1 Dollar! Gibraltar itself is a protective figure in Apex Legends, its ability to defend enemy attacks is very useful for teamwork.